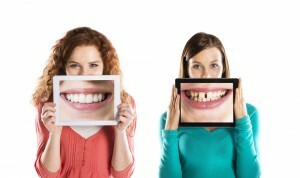 If you have invested in an Invisalign treatment then you are serious about getting that perfect smile. To help you get that smile we have written this short guide on how to care for your invisalign retainer. Always remove your Invisalign and rinse it thoroughly under luke-warm water. Make sure it is never too cold or too hot. Get your tooth paste and an old soft toothbrush and clean gently going in clockwise movements. 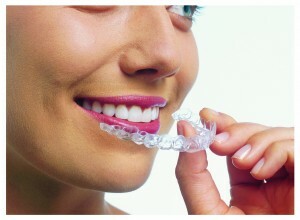 Once you have covered the entire invisalign surface, once again give it a good old clean under tepid water. Now you need to use your eyes! Give the retainer a good inspection to see if you can see any calcium build up. It is quite distinctive and looks like a cloudy white film. If you see any calcium build up then give it a thorough soaking in the cleaning solution your orthodontist provide. Here is some good advice from the resident Orthodontist from Dental Kind in Essex on cleaning methods. Never, ever soak your invisalign retainer in mouthwash because most high street brand mouth washes have colour pigments that may stain it. When your orthodontist advises you to move on to your next retainer – keep the old one. Clean it well and put it away in your protective orthodontic box. The reasons for this there are occasion when the patient will be instructed to ‘roll-back’ to a previous retainer. Remember that your Invisalign retainers are made from plastic. So anything where the temperature is too hot or too cold could affect their shape.